The winner of the first Anja Niedringhaus award, US photographer Heidi Levine, has paid tribute to Anja, an acclaimed German photojournalist who died in Afghanistan last year. Palestinian men run with a white flag in the Shejaia neighbourhood, which was heavily shelled by Israel during fighting, in Gaza City July 20, 2014. At least 50 Palestinians were killed by Israeli shelling in the Gaza neighbourhood, and thousands fled for shelter to a hospital packed with wounded, while bodies were unable to be recovered for hours until a brief cease fire was implemented (Photo by Heidi Levine for The National). Freelance photographer Heidi Levine was speaking after winning the inaugural Anja Niedringhaus Courage in Photojournalism Award, set up by the International Women’s Media Foundation in memory of Anja and to honour women photographers who risk their lives to document conflict. Anja Niedringhaus was a Pulitzer Prize-winning Associated Press photographer who was killed when an Afghan policeman opened fire on a car she was travelling in last April. She was 48. Levine (pictured above) said: ‘I am honoured to be recognised with this award dedicated to celebrating the legacy of Anja. 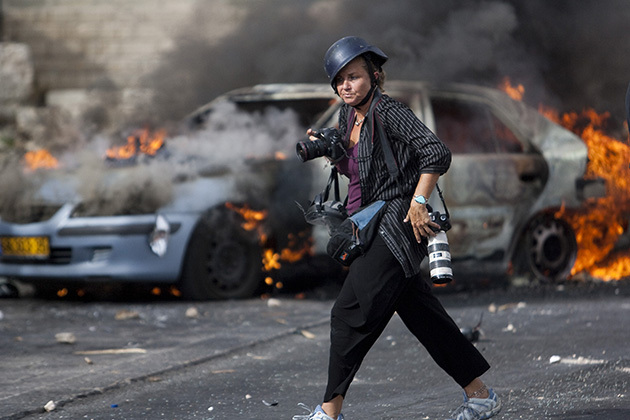 ‘Anja was both a photojournalist and a person I admired, respected and often consulted with in the field under extreme circumstances. Levine, who is based in Jerusalem, has covered key moments in Middle East conflicts, including revolutions in Egypt, Libya and Syria. 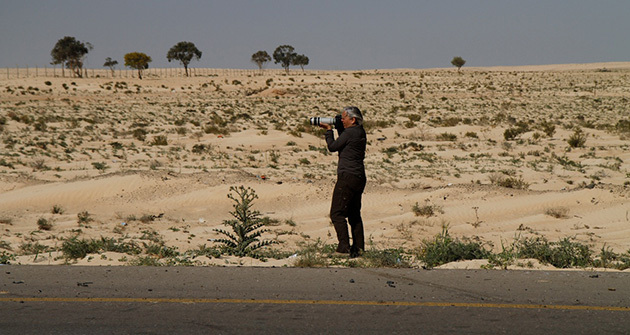 Commenting on Levine’s work, competition judges said: ‘Her courage and commitment to the story in Gaza is unwavering. Levine will receive her award at a ceremony to be held in Berlin, Germany, in June. In December 2012, Amateur Photographer reviewed Anja Niedringhaus’s book, At War.